Hex is currently working on some new music material for the TV series "QUEER AS FOLK" and also on an album project consisting in updating some old jazz music. Hex seems really excited about this project and it does sound exciting to me too !! 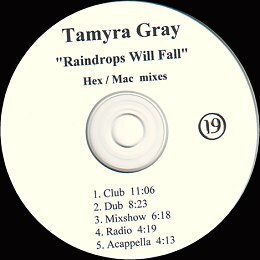 I was lucky enough to find a copy of the promo CD of "Raindrops Will Fall" featuring the HQ² Accapella !!! These were the very first promos sent out to DJ's compliments of famous remix A&R HOSH GURELI . 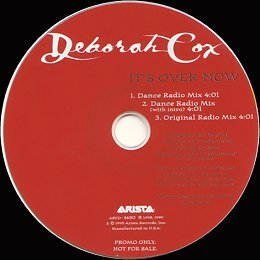 Another rare promo CD i can now proud my collection of, is for DEBORAH COX's "IT's OVER NOW". 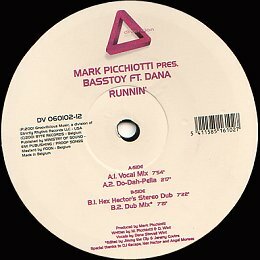 I had been looking forever for this one to finally give up thinking there was no other edit than the Mixshow version featured on the promo vinyl. I'm not talking about the Retro-Future mix for which i already had a radio edit but about the big room remix. This CD actually features 2 radio mixes, one with an intro very similar to the album version of the song and the other with a drum into.